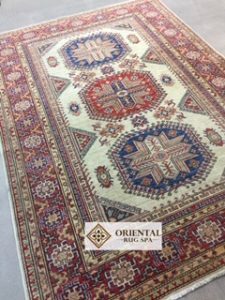 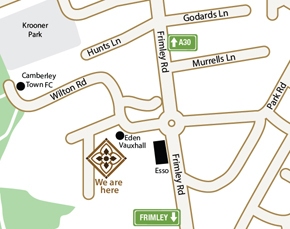 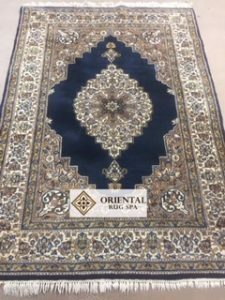 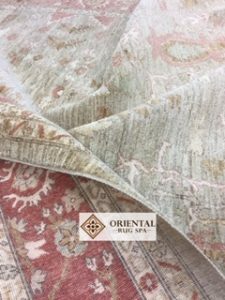 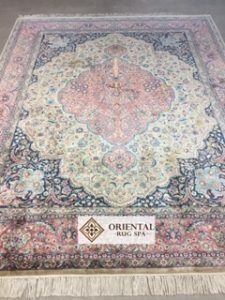 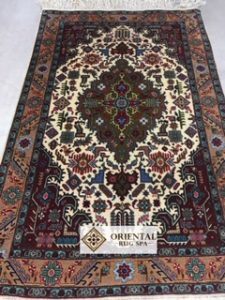 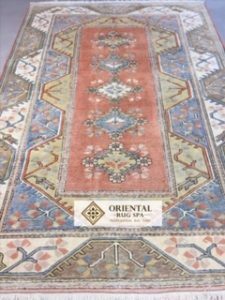 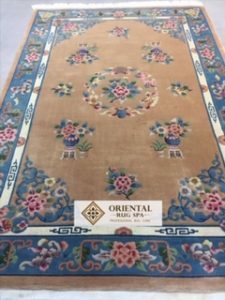 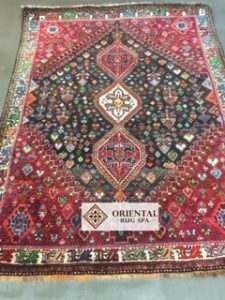 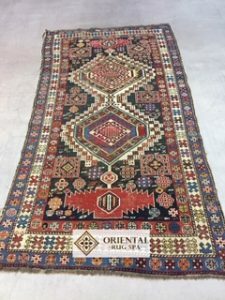 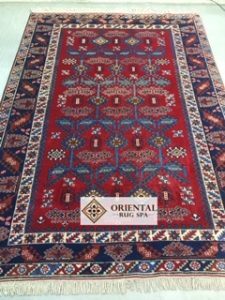 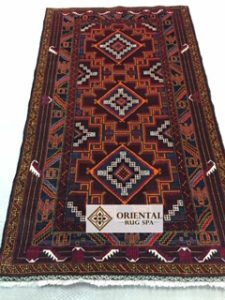 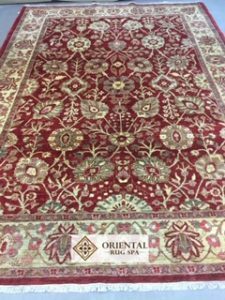 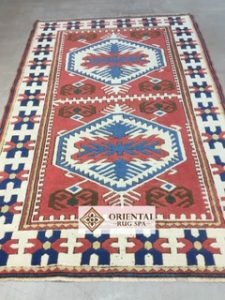 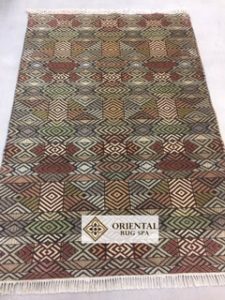 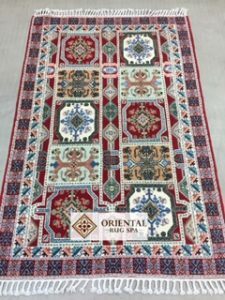 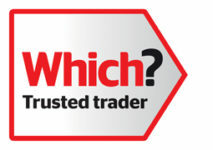 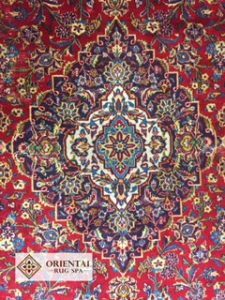 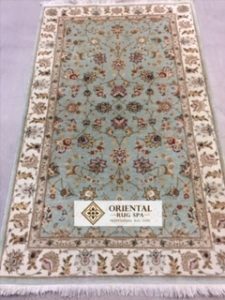 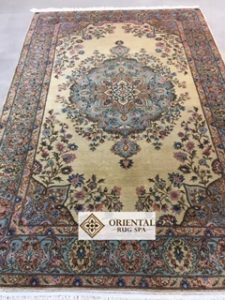 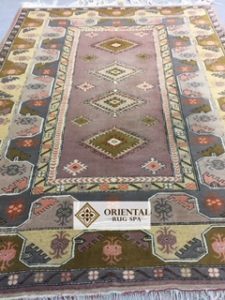 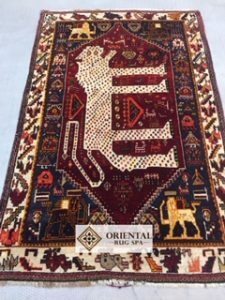 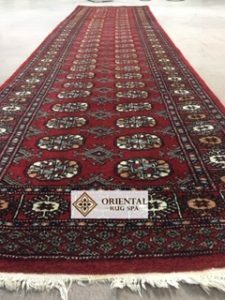 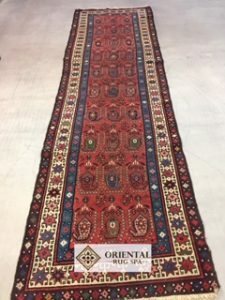 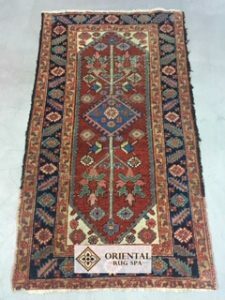 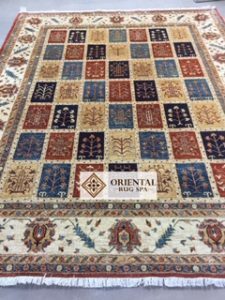 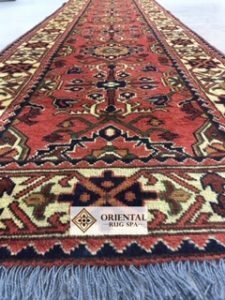 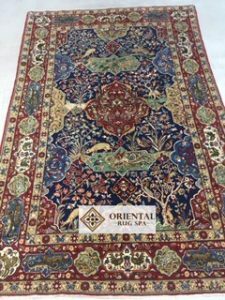 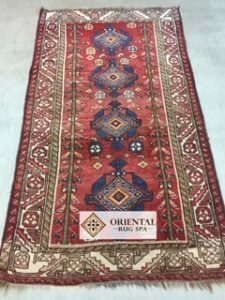 Oriental Rug Spa offer a specialist Persian, Oriental and Contemporary rug cleaning in Eversley. 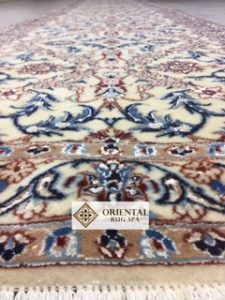 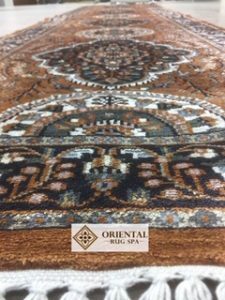 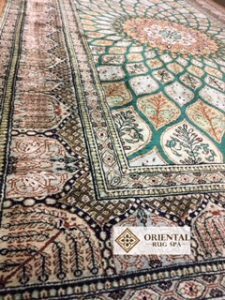 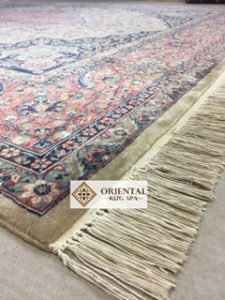 We also offer a rug repair service. 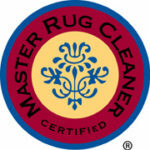 If you own a dirty or soiled rug that needs professional cleaning, then why not give us a call on 01276 423150. 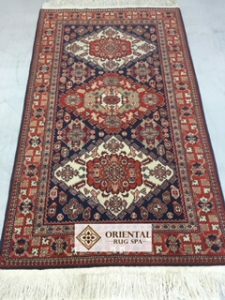 You can drop the rug into our wash facility or arrange a time for us to collect from you. 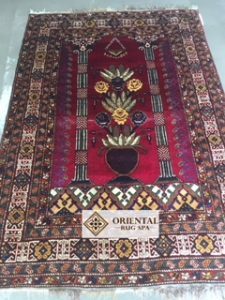 Kashan is one of the oldest weaving cities in Iran. 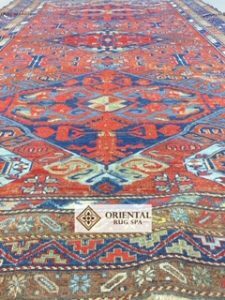 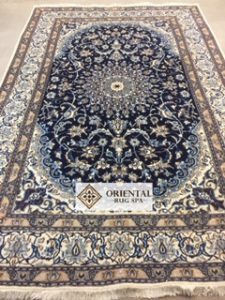 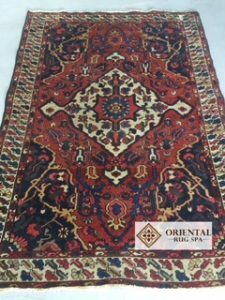 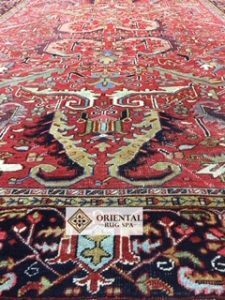 Persian rugs have been produced here since the Safavid dynasty in the sixteenth century. 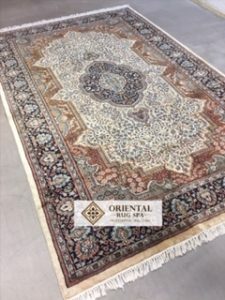 The city is situated between Isfahan and Teheran. 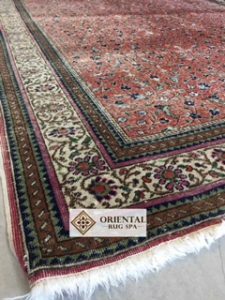 Kashan rugs are woven with a wool pile on a cotton foundation. 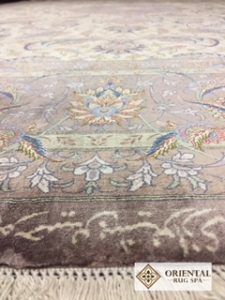 The rugs sometimes contain silk highlights within the weave. 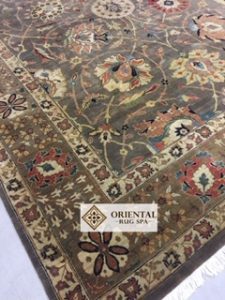 Vegetable dyes were used with older rugs, but chemical dyes are more common with the modern rugs. 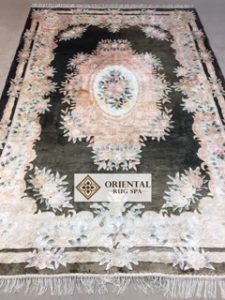 Designs tend to be floral with a distinctive central medallion. 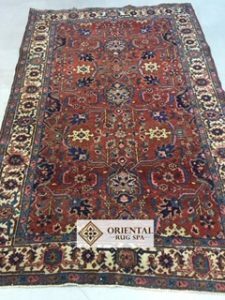 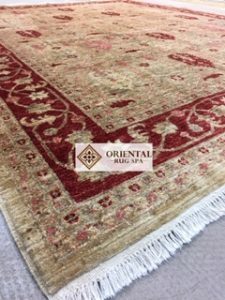 Kashan rugs are knotted asymmetrically with a Persian knot and are woven extremely tightly up to 800 knots per square inch. 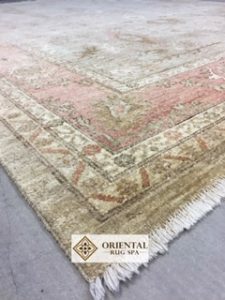 As with all hand knotted and machine made rugs, cleaning should never be attempted in the home using detergent based solutions which could compromise the dyes. 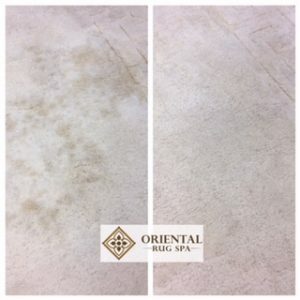 Professional cleaning would be recommended to prolong the life and maintain the appearance of these wonderful pieces of floor art. 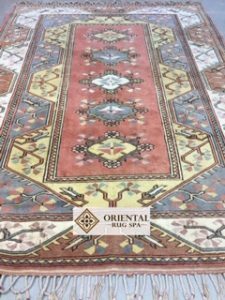 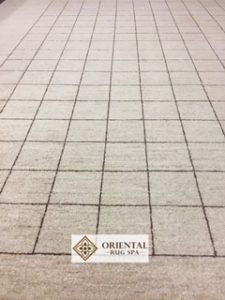 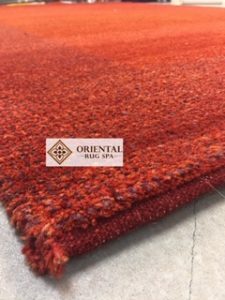 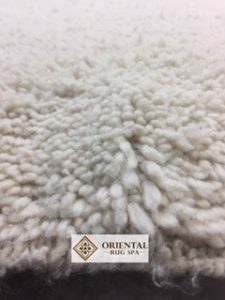 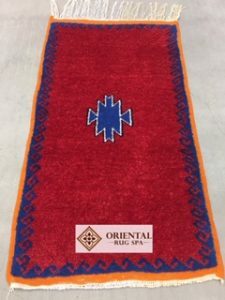 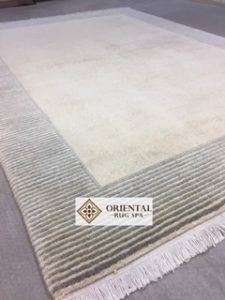 If you have a machine made rug that would benefit from a spa treatment, then why not give us a call on 01276 423 150 to get a quote and advice.